The next big trend in bio-hacking is understanding the relationships between different metrics. 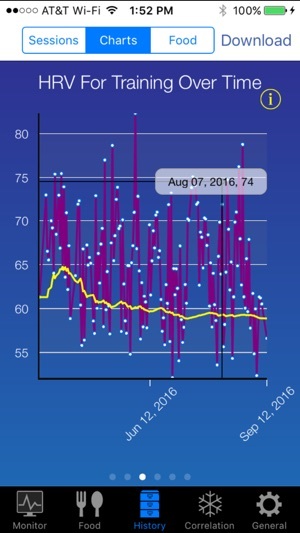 SweetBeat HRV integrates and correlates data from popular fitness platforms like MapMyFitness, Fitbit and Withings. By analyzing HRV and Stress along with additional data, SweetBeatHRV provides a deeper dive into health and provides insight into what activities you engage in that effect the health metrics you care about. A tested Bluetooth Low Energy Heart Rate Monitors. While other manufacturers wrist worn devices work well for heart rate, their wrist worn heart rate monitors are not accurate enough for HRV and so are not supported. They can be used for Food Sensitivity test. 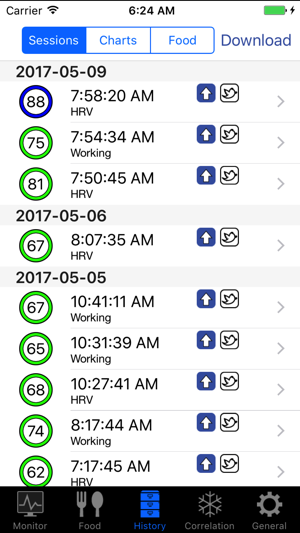 SweetBeat HRV can be used with devices running IOS 8 and above: iPhone 5 and newer, iPad 3 and newer, iPad Mini and newer, iPod touch 5. With SweetBeatHRV, you can see your stress levels in real time, giving you the ability to take action to reduce stress. If your chosen stress threshold is reached, SweetBeat’s Relax screen prompts you with a deep breathing screen that includes calming images. 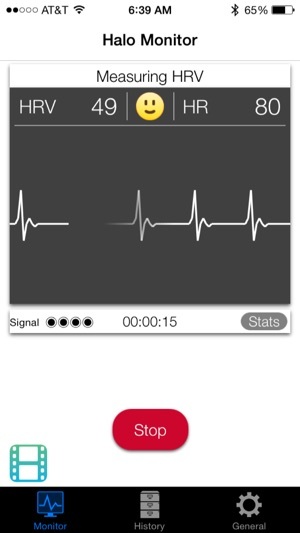 NEW: Checkup mode is a 3 minute countdown ideally suited for use with the Zoom device. Checkup can be run with any compatible BTLE heart rate monitor chest strap too. The three minute session allows the Zoom user to accurately assess stress and power levels anytime during the day. •Stats: The stats screen more widely referred to as the “geek” screen, shows all the metrics being measured. If using the HealthPatch, the user can view the additional provided metrics. 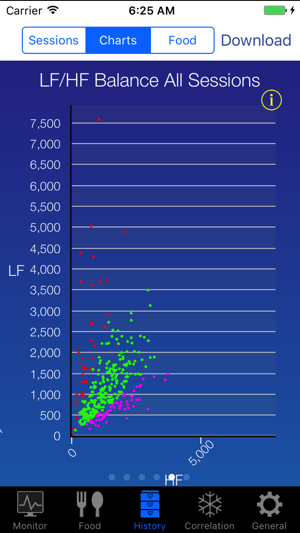 •Graph: The graph screen shows a real-time building graph of your heart rate from RR Intervals. Turning the phone 90 degrees counter-clockwise will bring up the graph in landscape. •Export RR Intervals: SweetBeat provides RR interval export capability. In competitive sports, improved performance is often affected by alternating periods of intensive training with periods of relative rest. SweetBeatHRV measures HRV, an objective measure of your body’s response to each workout and provides training recommendations based on the morning reading. If you are sensitive to certain foods, you may not experience symptoms, though your body reacts by elevating your heart rate after eating an offending food. Low level food sensitivities may contribute to inflammation. This inflammation tells the body to hang onto stored fat to combat whatever stress caused the hormonal release. SweetBeatHRV measures your pulse three times after eating and assigns either a “X” (sensitive) or a green checkmark (not sensitive). The correlation screen uses a patent pending algorithm to correlate all of the data the user has shared with SweetBeat. This data will come from the app itself and any other apps or devices the user has authorized (Fitbit, Withings, and/or MapMyFitness). The correlation feature turns your data into useful information and provides insight into what combination of activities lead to desired HRV, stress or weight, giving you the knowledge you need to achieve your health and fitness goals. •Post your session summary on Twitter to share with friends. •Customize your Relax screen images with your favorite pictures. •Track your heart rate recovery after exercising. •Track the foods you have eaten and your body’s response to them. 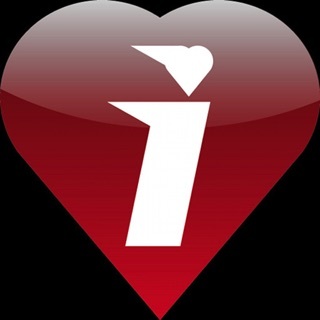 •Save and upload sessions to your secure MySweetBeat account at www.BeatHealthy.com. Oops! Important update to the Hu-manity.co link. Although sometimes buggy software, the support team is very responsive and will help find a workaround. I like the hrv for training, but find the stress calculation to have little to no correlation with my actual stress levels. I'm not sure that the correlation and food features are very reliable or provide any value to me, i find the presentation of information slightly confusing after studying lf power, hf power, ratio and relation to stress, and comparing the measured values with how i feel. I feel that the main thing i can conclude is that we are rapidly developing knowledge in a fairly immature region of health and wellness. You may be experiencing data corruption in your session history. Please contact support@sweetwaterhrv.com and we will be glad to help with any of your issues and get you back up and running again. This app is great because it makes looking at LF/HF so much easier than other HRV apps. But the design makes user experience very difficult. For example after you take a reading, to move through all the graphs you have click small radio buttons at the bottom of the screen that are nearly impossible to hit accurately. Could easily make a swipe functionality to move through charts. I am unclear as to what radio buttons you are referring to. The only way to see all your graphs from a session is swiping whether it is at the end of the session or through History>Session. Please contact support@sweetwaterhrv.com and we will be happy to walk you through and figure out what you are seeing. Also, there are small film strip icons on different screens. Tap the icon and a video will run showing you how to use the app and the features and functions. Please contact us. I don’t use the all functions on the app, but it works well for tracking my HRV and has helped pull my average from around 67 to 75. However, when I use my desktop to view my progress, it doesn’t work. 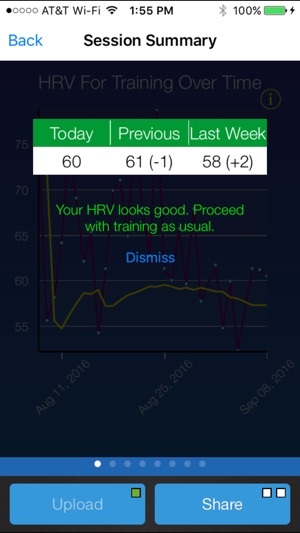 I’d still recommend for others just for HRV tracking.